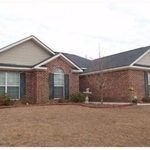 Located in the new Lakes at Cottonvale subdivision, only 10 minutes from HAAF. This immaculate three bedroom, two bath is in close proximity to Berwick Market, Hunter Army Airfield, and mid-town Savannah. This model-like home is located on a corner lot with several upgrades that are not included in new builds. 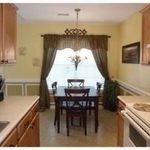 These upgrades include: sprinkler system, privacy fence, appliance package, blinds, and upgraded lighting package. Please visit the website http://www.poolerhouse.com to see a virtual tour and get full details on this home. Contact Laurie deVegter with Keller Williams of downtown Savannah at (912) 220-0957 to schedule a showing. Seller is motivated and willing to consider closing closts.